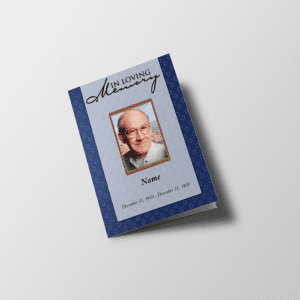 The importance of the funeral program is to offer guidance and loved ones. 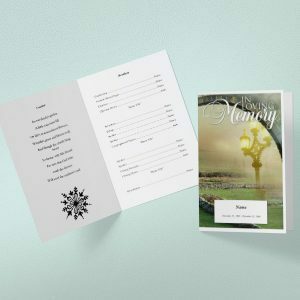 This type of funeral program template is very helpful to create, self-printable funeral programs. The service program offers participants an overview of what they expect during the commemoration. It will also emphasize some personal performance of the deceased. 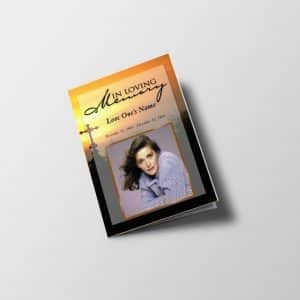 A company that offers funeral and memorial services can offer funeral programs. However, this has no impact unless it is a personal touch of surviving relatives. This is one of the reasons why companies have and use templates. 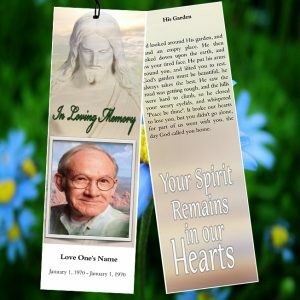 These templates are pre-designed and pre-designed and all the needs of surviving families. 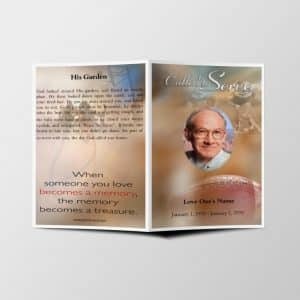 Templates for funeral programs or funeral templates at QuickFuneral.com is totally online editing based. You don’t need to have a computer geek to get it designed and printed. The process is really simple as 1-2-3. 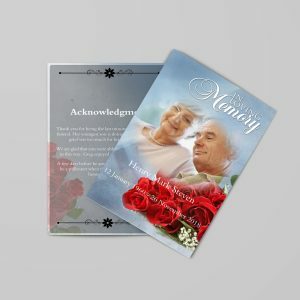 You can get it customized online and ready to print within minutes. 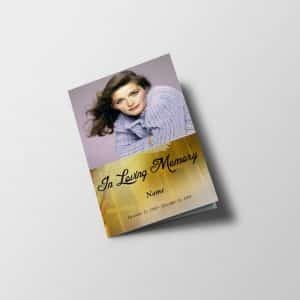 The funeral templates come with unlimited edits and restriction on contents. 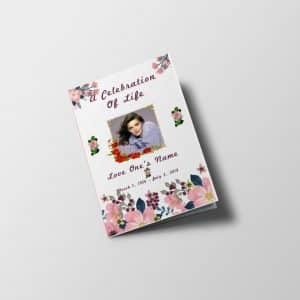 That means, you can add unlimited text and photos to make it, these printable funeral templates will get you downloaded HD PDF after editing that you can open in Adobe Reader. 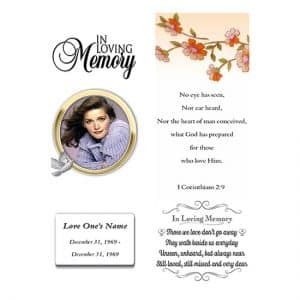 Time Bygone Funeral template has a connecting appearance passing on an estimation of 8.5″ x 11″. The blue shade of the sky has made it all the more appealing. You can use this arrangement in an internment benefit program of your kicked the bucket one’s that is giving a relieving touch. 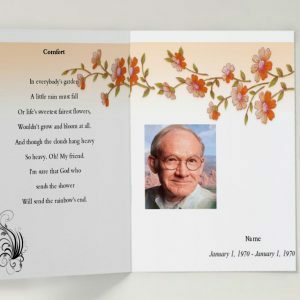 In the left side, there is a compartment that is holding the burial service poetry. In the base right of this stunning outline, there is space to give the name and birth-downfall dates of the individual who has been died. 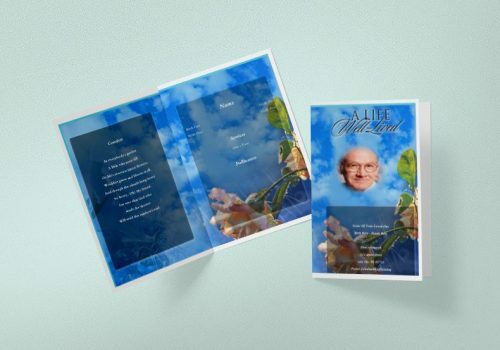 This is a totally editable funeral program that can be changed using the Microsoft word application. 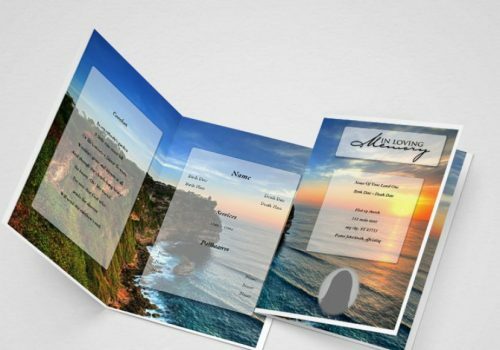 We can see a very beautiful view of a funeral program template. It contains the colors that are very sober and simple. 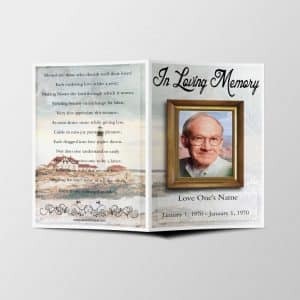 Evergreen funeral program template is having an estimation of 8.5” x 11”. The colors used are very light and dim. The container is there for inserting the text you wish to include. Also, at the middle there is space available to put the image of the deceased one. 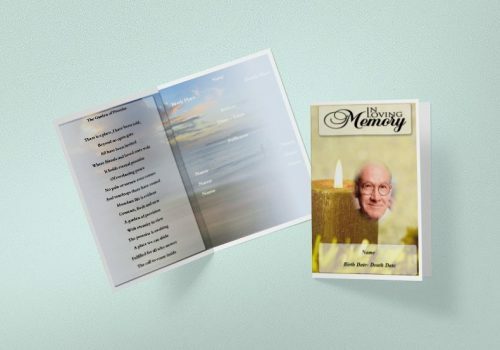 There is transparent overlay inside the template to insert the order of service, funeral poems and other necessary details. 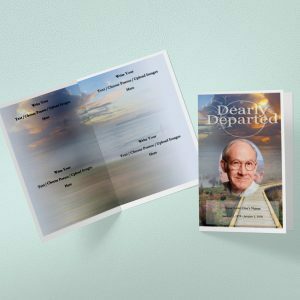 Utilize this funeral program template once! 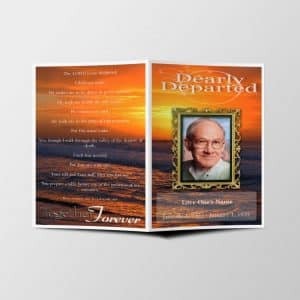 Here is blank template for Funeral Program (8.5 x 11) bi-fold (fold in half). Start editing this to add you own background images / text contents and download printable PDF to get it printed. 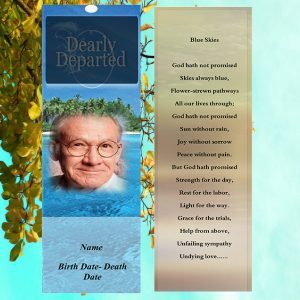 These funeral templates are fully compatible with all browsers, so you can edit it from anywhere – anytime. 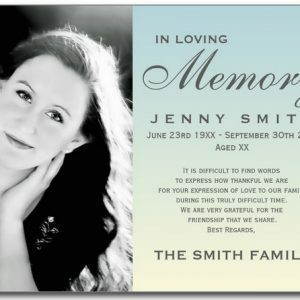 The funeral template has a design and a base that has already been set up for you. 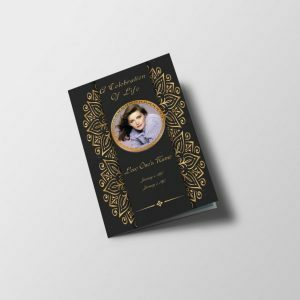 Supplied with background and text that is already in design. It is a very simple and fast program. You do not have much information and you take all your photos. For a small investment it is worth its price in gold. Losing a loved one can be difficult. It changes the way we live our lives and can cause tension between our relationships. This can affect our quality and quality of life. But while they mourn, we finally overcome it. One of the lost moments in life is a life and a life of love, and that is what they have transferred. 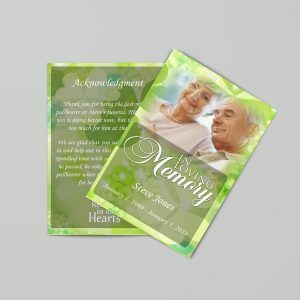 Why use the funeral program template? 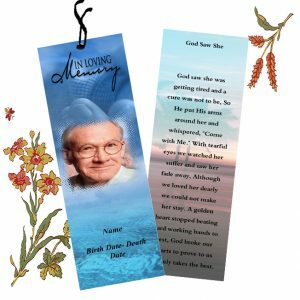 It is an effective way to create memories that respect the memory and life of a lost loved one. 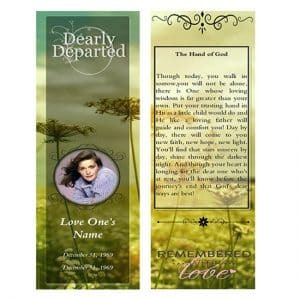 If the loss was severe, the right way to pass on respect and love to the deceased can be difficult. 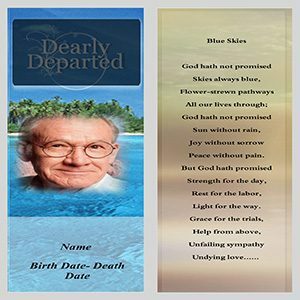 Writing the wrong one in a funeral template can be catastrophic if you do not have the right mood and tone. Badly written programs can seem almost ridiculous and honest when tasks get out of context. 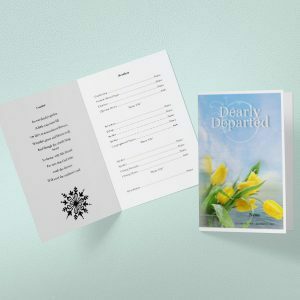 Although you may have thought the right language, but there is a certain atmosphere and atmosphere of respect and respect that must be maintained during the funeral. This is affordable and can be done in a way that is honoured, but it is not intended to cause damage. If you know what you want to say, but you cannot find a template-burying template, that&#39;s perfect for you. 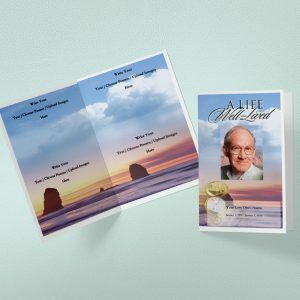 Why use the funeral program template? 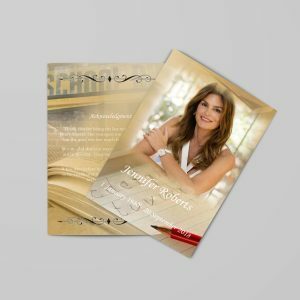 There are many online services that specialize in delivering beautiful images and designs that follow your well written words. 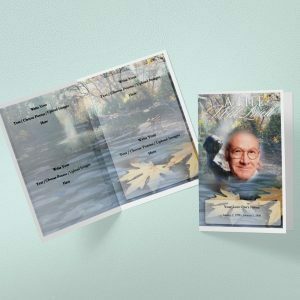 Improve the way you feel about the death of the loved one through the template for the funeral program. His designs fit well in the atmosphere of the funeral. They are not strong, nor made uncomfortable. 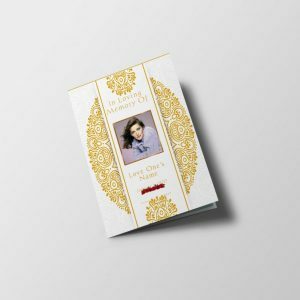 With these funeral templates you can concentrate on the life of a loved one and archive their achievements and memories. 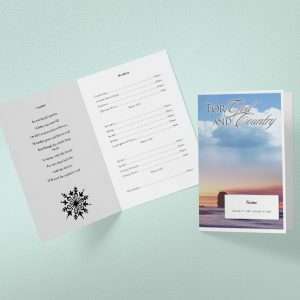 Memorial templates or order of service programs, memorial templates are a small but important handout at the memorial service and can have lasting effects. 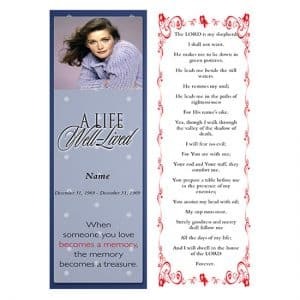 This little memorial programs keepsake is the one token that is distributed to all memorial attendees. 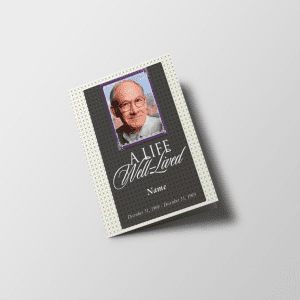 Often people keep this program as a final reminder of the life celebrated at the service. 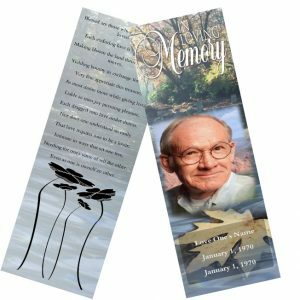 If you are overwhelmed with the memorial planning, it can be helpful to enlist the aid of a memorial program template so you can produce a memorial program that is beautiful and highlights your loved one’s life. 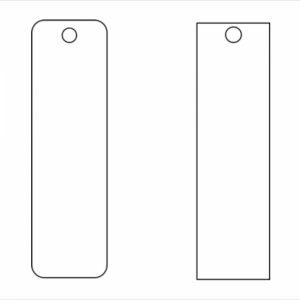 Templates assist us with our computer projects and allow us to complete a project in a more efficient and timely manner. 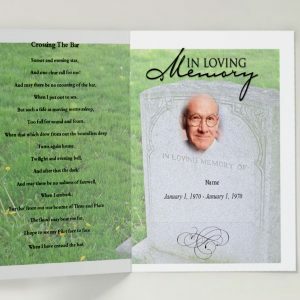 The funeral template has a design and a base that has already been set up for you. 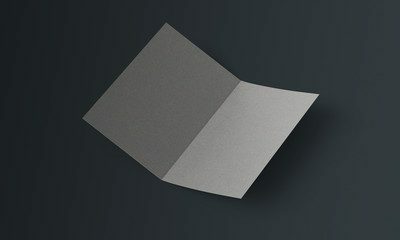 Supplied with background and text that is already in design. It is a very simple and fast program. You do not have much information and you take all your photos. For a small investment, it is worth its price in gold. Losing a loved one can be difficult. It changes the way we live our lives and can cause tension between our relationships. This can affect our quality and quality of life. But while they mourn, we finally overcome it. One of the lost moments in life is a life and a life of love, and that is what they have transferred. 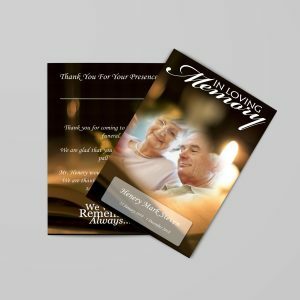 Why use the funeral program template? 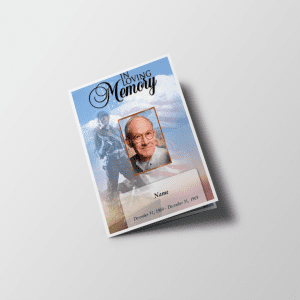 It is an effective way to create memories that respect the memory and life of a lost loved one.